If your daily makeup routine hasn’t changed in ten years or more, it might be time to try a few new ideas. Your look may have been all the rage in 1985, but times have changed, and you should keep up with them. Here are the 5 Best ways to bring your makeup into the 21st century. 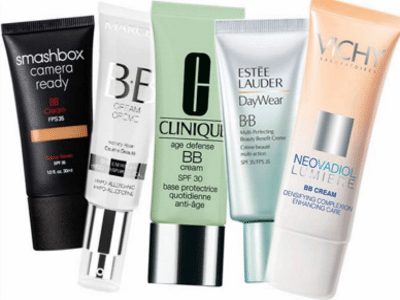 Set aside thick liquid foundations and switch to lighter formulated BB and CC creams. They are infused with moisturizers and other beneficial ingredients to blend smoothly for coverage without the cakey look some liquid foundations can give. Rather than a full facial powder to finish off and further even out your skin, only apply the powder to the T-zone – starting at the brow line between your eyes and sweeping down and outwards, smoothing the skin tone around your nose. This is a case where less is more – you will love the fresh look of a lighter base. Your most prominent feature is your eyes, the focal point you want to draw attention to as they are the windows of the soul. Make a statement with bold color. Start by using a heavy hand to apply the color, starting from the inner eye and moving up and outwards. Smudge the edges to soften the line around the edges and you’re done. 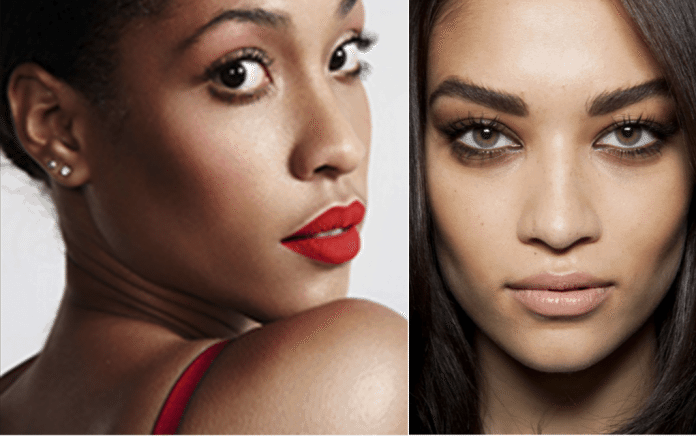 The intense color should be offset by a neutral lipstick and light mascara to make sure your eyes truly pop. Instead of the same old black outline, add some color to the contour of your eyes. One way to do this (illustrated below) is to use your regular eyeliner first along the outside rim of your eye, both top and bottom. 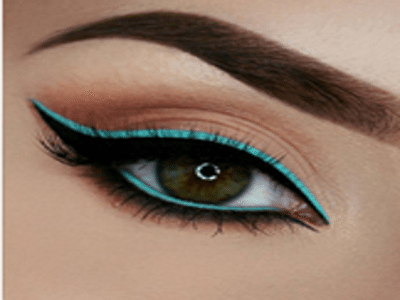 Select a shade that will stand out against your eye color and apply one heavy line along the top of the black liner, then on the inside rim of the bottom of your eye. This look is artistic and dramatic, but you can achieve similar changes by using the color on the lid only, and making it thicker as you get to the edge of your eye. I have clear memories of my 8th grade teacher’s blush – it was more like a racing stripe or war paint. 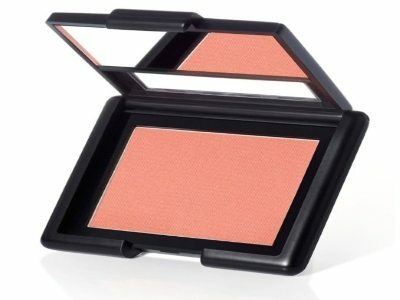 Even into the 80s, blush was applied to color the face in ways like apple red cheeks or drawn contours. For a more updated look, lighten up your color and apply sparingly in a downward brush from the top of your cheekbones towards the corners of your mouth. This will give the contour without the lines, and bring attention to the eyes and lips. Use a lighter shade of powder to finish and blend to match your skin tone. 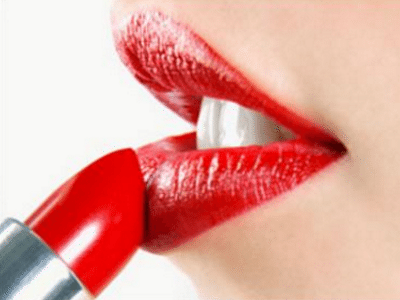 Bright red lips are all the rage these days. It shouldn’t compete with the rest of your makeup, so the toned down foundation and blush will make your lips pop when you head out for a night of fun. Neutral tones are more appropriate for daytime activities, but skip the liner and frost. Select a color that is a shade or two darker than your skin for a subtle and lovely look at work or in a conservative environment. DC Durand is a professional from the Washington DC area who traveled extensively as a writer for the Federal Government. She writes for a variety of outlets, including travel sites and direct customers, on a number of topics. Her passion for travel includes unique photography and visiting out-of-the-way places to get a feel for the culture. Official Email id: Durand@5bestthings.com.